Nothing like watching a good comedy to get a smile or even a loud laugh from you to help you relax and release some stress. That’s why we bring you our own personal selection of the 4 Spanish movies that actually made us laugh. Now if you’re an English speaking person you might not fancy the idea of watching a foreign movie, but trust me, if you give it a go, you might be quite surprised of the outcome. We love movies in general, but we are usually quite picky as well, because not only in the Spanish cinema industry but in other productions, many times there are explicit scenes that, from our point of view, are of no use at all to get the message across. So finding a clean, family comedy, sometimes it can be a whole achievement. This is the tender story of a not so “good-looking” man that due to his mother’s death he decides to relocate to the village of his childhood where he will cross paths with a not too “attractive” sister-in-law that has recently been cheated by the husband. The situations that will come out and the sense of humour will make you have a good time watching this movie. It might be because we are expats ourselves just like the main characters but if you have gone through an immigration adventure you will feel related to many things of this film. 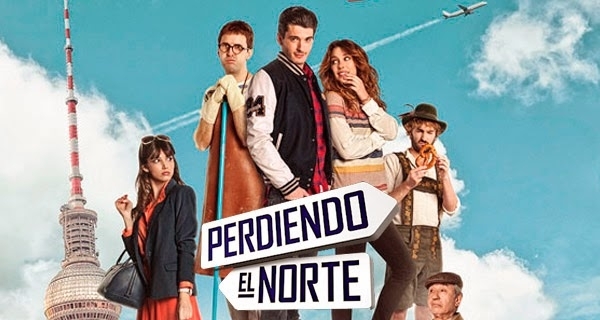 It basically talks about this two young men who, after finished their studies, they decide to relocate from Spain to Germany looking for better job opportunities. Encouraged by a TV program that shows what they think will be their real experience they arrived to the new country facing the cruel truth of the story. Not the Catalonian ones please. You know what they say that “second parts were never good”, well, in this case, that’s completely accurate. Without intending to be a mean film critique that will rip the movie apart we just want to say that we didn’t enjoy the second part. The jokes, the dialogue was too forced, it didn’t flow naturally like in the first one. But, hey, straight to the point. Eight Basque Surnames was a whole surprise to us! 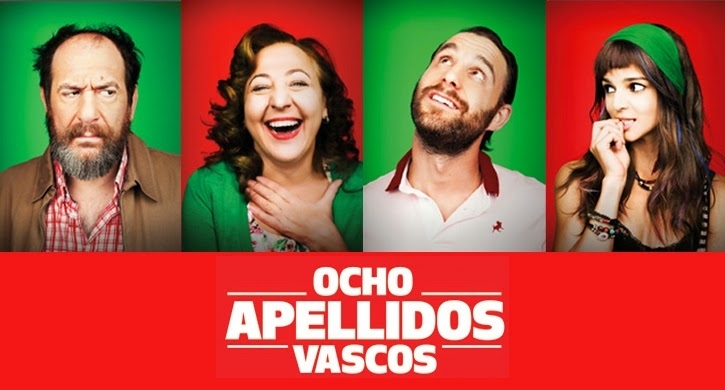 A romantic comedy between a Sevillian (someone from the south of Spain) and a Basque (someone from the north) two opposite cities with very different cultures that will make you giggle and have a good time as you watch it. We had never heard about this one before but it was a good Christmas treat! Since we went back home, to Barcelona, for the holidays our family there recommended it to us. We couldn’t stop laughing throughout the whole movie. This “elite” squad get you to laugh out loud thanks to their very few individual skills but great team work. 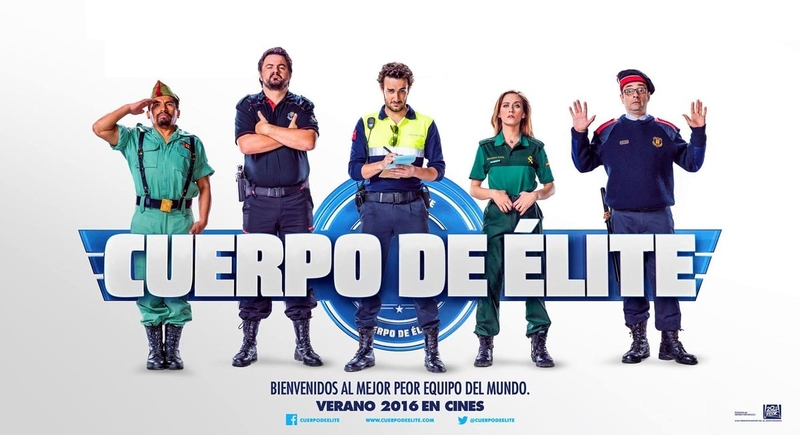 You’ve got the very Spanish patriotic (Ecuadorian), the guy from Catalonia, the one from Madrid, a Basque one, and a Sevillian woman. What can happen with such a mix, right?! So here you have! We hope it was of help if you didn’t know what to watch during this weekend of blanket&tv. 🙂 What are some good comedies that you would recommend to us? jajajaj….mami de solo nombrarlas ya me rio recordandolas….y sobre todo porque expones los argumentos sin OJO desvelar naa de naa…jijiji….pelefecta recomendeishon!!! I’ve not heard of any of these but my husband and I enjoy something a little different. We will take a look! Anda, solo he visto 8 apellidos vascos, ¡tengo que apuntarme las demás!